The tool, which YouTube is calling the Copyright Match tool, will roll out to creators with more than 100,000 subscribers starting next week. It will roll out to more users over the next few months. Creators who use the tool will be notified if copies of their videos surface on YouTube. 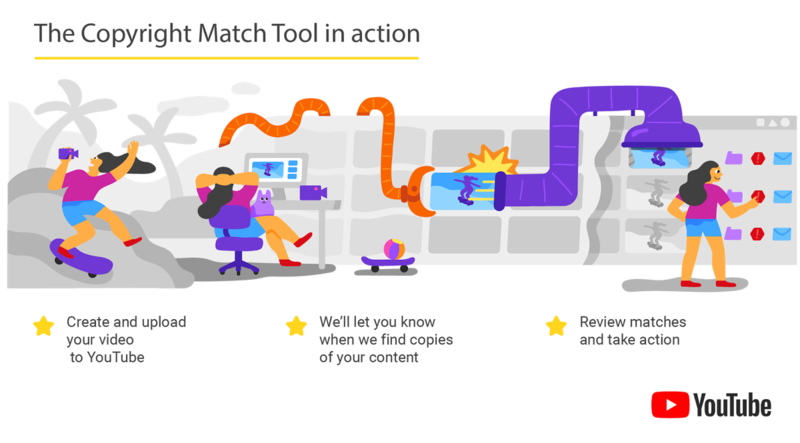 If the tool finds matches, creators can then decide what action to take. They can either do nothing, contact the person who made the copy, or ask YouTube to remove the copy. You have to be the first person to upload the video to be considered the original creator by the tool, so there’s the possibility that someone else copies your video that’s already on Vimeo or Facebook and uploads it to YouTube before you. YouTube already has a similar program called Content ID, which helps copyright owners find people using their content without permission. Content ID is more limited in its availability, and unlike this new tool, it also allows content owners to monetize unauthorized uses of their work.